Fact: Chris Brown is $5,000 (£3,330) richer after accepting a bet from rapper French Montana, who claimed the Kiss Kiss singer couldn't pull off a front flip. Video footage of the friendly wager, posted on social media, shows Brown taking on the task in a back yard and successfully completing the acrobatic challenge. Fact: R&B star Chris Brown has dedicated his new album to his baby daughter by naming it after her. His seventh studio release, Royalty, will hit retailers on 27 November (15). The child, the singer's first, was born last year (14) following his fling with model friend Nia Guzman. The former lovers recently agreed to share custody of the tot. Tweet: "Court went great today. Glad this all worked out." R&B singer Chris Brown celebrates reaching a custody agreement with model Nia Guzman over their daughter Royalty. He is allowed to spend 12 days a month with the child unsupervised. Quote: "We're not fighting... Chris is a good friend of mine. He's a really great talent, really good guy. All I did was like a few pictures. He didn't get angry... I liked a few of Karrueche's pictures, they were nice pictures, that's what Instagram is for. On the same day, I... liked some of Rihanna's, and like two of Beyonce's, and they (members of the media) pick out Karrueche out of that and made this storm (sic). I don't know, the media does that. All these blog sites, they twist me (sic)." Hip-hop star The Game blames gossip-mongers for trying to stir up trouble between himself and Chris Brown after he recently 'liked' photos posted on social media by the singer's ex-girlfriend Karrueche Tran. Quote: "I'm the only singer who has been incarcerated and had a number one record at the same time." Chris Brown puts a positive spin on his past legal issues. Fact: R&B star Chris Brown suffered a wardrobe malfunction onstage at a gig in Bridgeport, Connecticut on Sunday night (23Aug15) when his jeans ripped as he performed a dance routine. Fact: R&B star Chris Brown spent almost $10,000 (£6,700) on three mini-motors for his baby daughter's recent first birthday. The cars are replicas of his own Range Rover and two Lamborghinis. Tweet: "I honestly never knew I could love someone as strong as I do. I'm gonna give her the world." R&B star and new dad Chris Brown can't stop gushing about his daughter Royalty after sharing a photo with fans of the youngster sleeping. The child was conceived during a fling between Brown and a model named Nia Guzman. She gave birth last summer (14). Fact: Chris Brown and street artist Alec Monopoly have teamed up to decorate a West Hollywood parking lot. The odd couple took over a lot owned by producer David Weintraub and turned it into a graffiti masterpiece over the course of three nights. TMZ.com reports the police showed up several times following reports of vandalism but no one was arrested as Brown and Monopoly had been given permission to tag at will. Fact: Chris Brown's first date with model ex KARRUECHE TRAN was a late-night dinner at Los Angeles diner Norm's in 2011. The couple's on/off romance ended recently when Tran discovered her boyfriend had fathered a child with another model. Fact: Chris Brown surprised fans during his concert in Inglewood, California on Sunday (08Mar15) by bringing his nephew onstage. Footage obtained by Tmz.com shows the young boy, who is wearing an oversized gold necklace, being handed a microphone by rapper Tyga. The youngster then sings the lyrics to Brown's song Loyal while Tyga and Brown dance in the background. Fact: Chris Brown's art is featured on a wall at the Grammy Museum in Los Angeles. The Kiss Kiss hitmaker painted a mural of the artists who have influenced and inspired him in his career, including Michael Jackson, James Brown and Prince. Fact: R&B star Chris Brown has paid homage to slain rapper Tupac Shakur by having the lyrics to one of his tracks scrawled on his Lamborghini. The Kiss Kiss singer hired artist Huero for the job and he spent 16 hours handpainting the lyrics to Lord Knows on the star's sportscar. And to make sure Brown didn't upset too many people with his colourful ride, he asked Huero to remove all the expletives and N-words. Quote: “I’m scared of marriage cause I’m young right now. Kids? Yeah man, I need a little Chris Brown cause when I can’t dance no more I need to teach him something. (But) I ain’t rushing (sic)." R&B star Chris Brown wants to take his time before settling down with on/off girlfriend Karrueche Tran. Quote: "It's been almost five years. She's straight. I dig her man. She's dope... I feel like, especially being in this industry, you just need somebody that understands you; who understands who you are personally except for your name. Me and her have a real connection, like best friends on top of our intimacy. At the end of the day, me and her have a great relationship. We're best friends." Singer Chris Brown has nothing but love for his on/off girlfriend Karrueche Tran. Fact: R&B star Chris Brown had to fend off an overzealous fan during a weekend (27-28Sep14) appearance at the Limelight Houston nightclub in Texas after the woman attempted to grab his face for a kiss. In video footage of the incident, the singer appears to push the devotee away with his arm as he walks through the club with his on/off girlfriend, Karrueche Tran. Quote: "I think people kinda always get misconceptions because if you don't see us in the headlines, dating or with each other, it's always, 'Oh, they hate each other'. Me and her are friends... We have a great understanding, there are no issues." R&B star Chris Brown insists he and former girlfriend Rihanna have a great relationship. Tweet: "It's disappointing that we as a society can't have fun or enjoy ourselves without any altercations sometimes. Miss me with the bulls**t!!!" 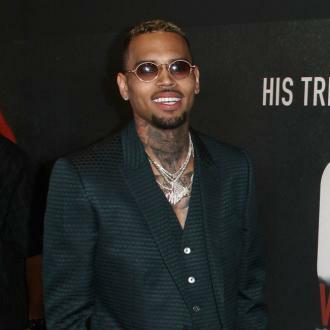 Singer Chris Brown expresses his anger over the shooting incident that occurred during his pre-MTV Video Music Awards party early on Sunday (24Aug14) at 1Oak nightclub in Los Angeles, where Death Row Records co-founder Suge Knight was reportedly shot twice and two other people were injured. Quote: "Damn near 5 years and this woman still putting up with my s**t. Need to have this baby and stop playing!" Chris Brown appears to confirm rumours he has reunited with on-off girlfriend Karrueche Tran. The singer posted the message on Instagram.com on Wednesday (20Aug14). Tweet: "I been through a lot in my life. Made a lot of mistakes along the way. But through it all I've always been true to myself and through God I've been able to take care of my family! I should regret some things but I think the lessons learned will shape me into a real man. I'm grateful and appreciative! Thank you for life!" R&B singer Chris Brown reflects on his troubling past, including his 2009 conviction for assaulting his then-girlfriend Rihanna. Fact: Once-feuding stars Drake and Chris Brown have teamed up with basketball hero Blake Griffin to film a skit for Wednesday night's (16Jul14) ESPY Awards. The rapper and the R&B star's entourages famously fought at a New York nightclub in 2012, before patching up their differences by hitting the studio together last October (13). Now they have proved their rivalry is over by filming the sketch, which will debut during the televised U.S. sports awards. Fact: Chris Brown has spent a reported $10,000 (£6,250) to have his Lamborghini sports car painted blue. The vehicle was previously decked out in a camouflage-style design. Fact: Chris Brown and Drake have sparked rumours they are working together on new music after a photograph of the two entertainers in a music studio surfaced online on Thursday (10Jul14). Brown and Drake first announced they were teaming up with each other in October (13), following an ending to their longstanding feud after an incident in a New York nightclub in 2012, when their entourages became embroiled in a violent altercation. Fact: R&B star Chris Brown and singer/actor Jamie Foxx stunned diners at Malibu, California's popular sushi restaurant Nobu on Saturday night (05Jul14) by teaming up for an impromptu show. The pair grabbed the microphone and performed Foxx's Kanye West collaboration Gold Digger for the crowd, while rapper pal Tyga also hopped onstage to play his hit Rack City, much to guests' delight. Tweet: "Back to the Music and the Fans... Thank you God." Troubled singer Chris Brown is looking forward to getting back to work following his release from prison on Monday (02Jun14). Tweet: "Happy Birthday Christopher I love and miss you.. Can't wait to give you a big kiss and hug." Chris Brown's girlfriend Karrueche Tran remembers the troubled R&B star as he celebrates his 25th birthday behind bars on Monday (05May14). The Kiss Kiss singer is awaiting trial on assault charges. Tweet: "I get a call that the song was pushed back... then I get a call that it isn't... gonna take the back seat with this one." Ariana Grande is in the dark about the release of her duet with Chris Brown following the news that he will remain in jail until the end of April (14). Tweet: "The community service isn't a problem anymore. Ill do what ever duty I need too to fulfil my requirements as a man and a leader." Chris Brown is getting serious about the 1,000 hours of community labour sentence he was handed earlier this month after violating the terms of his probation. Tweet: "I will not be performing in Jakarta on September 14th. This is false advertising and a fraudulent date." R&B star Chris Brown warns fans in Indonesia to beware of bogus concert promoters after spotting an advertisement for a fake gig there. Fact: Chris Brown has given his luxury Lamborghini a makeover by hiring professional customisers to paint it in the style of a Nike Air Foamposite Camo sneaker. The paint job reportedly cost the Kiss Kiss hitmaker around $15,000 (£10,000). Fact: R&B star Chris Brown handed out new shoes to underprivileged children on Saturday (06Jul13) as he hosted a Los Angeles charity event for his Unity Campaign. The charity drive was sponsored by sports shoe giant Reebok. Fact: Chris Brown has brought Aaliyah back from the dead for an eerie appearance in his new video. The late R&B star appears as a hologram in the promo for Don't Think They Know, which also features vocals she recorded before she died in a 2001 plane crash. Fact: R&B star Chris Brown is the proud new owner of an English bulldog puppy. The hitmaker shared a photo of the 16 week-old pooch on his official website on Wednesday (22May13), alongside the caption, "I'm excited to introduce you to the latest member of the fam! Check out the pic of my new English bulldog puppy that I got last night." Fact: Rappers Wu-Tang Clan, Kendrick Lamar, A$Ap Rocky and Fabolous and R&B stars Chris Brown and Miguel are among the stars lined up for the 2013 Summer Jam concert in New Jersey. The big annual gig will also feature sets by 2 Chainz, Wale and French Montana and will take place at the MetLife Stadium on 2 June (13). Fact: R&B star Chris Brown has given his fans a treat as his birthday approaches by releasing a new song online for free. The Kiss Kiss hitmaker turns 24 years old on Sunday (05May13) and he started his celebrations early on Wednesday (01May13) by sharing his raunchy track Give It Away. Tweet: "You are not powerless. The #heart responds to suffering with love. Please send your #love to Boston and Texas." Chris Brown urges his Twitter followers to hold those caught up in the drama of the bomb blasts at the Boston Marathon and the West Texas fertiliser plant explosion in their thoughts. Quote: "He's great, I've known him obviously since he first came to me over the whole Rihanna case. I've watched him over the past four years, I've talked to Rihanna and she has seen, I have seen, a monumental change in him... He's accepted everything that's come at him... He's grown and matured." Chris Brown's lawyer Mark Geragos on his client's progress since his assault conviction in 2009. Quote: "You can lose it all and I'm not just saying fame or stardom because that's not what it's about. I'm talking about dignity, integrity. You know, you lose yourself in a way. So that process of me having to deal with any trials and tribulations I went through at that time, it was a learning step for me. Everything was learning, and I learned from certain mistakes, and I'm getting better as the days come." Chris Brown on bouncing back from his 2009 assault charge after he was convicted of beating up girlfriend Rihanna. Quote: "I love that song... I would love to cover it." Chris Brown wants to record a version of Taylor Swift's I Knew You Were Trouble. Quote: "We actually are collaborating. I'm trying to get her on my album, I have a couple songs that would be incredible for her to feature on. But as for now, I'm just in the studio writing for her and collaborating on new stuff and trying to give her some party music and fun stuff." R&B star Chris Brown on working with Jennifer Lopez. Quote: "I'm not as hands on as I used to be. I totally deleted my Instagram and I get on Twitter every now and then to touch base with my fans because I love my fans. But sometimes when you're a young kid and you have impulsive techniques you kind of get like, 'Arghhh! I can't stand you'. People love (Twitter wars), they eat it up, so I'd rather not feed them that." Chris Brown is staying away from Twitter. Quote: "When it comes to my love life, the perception seems as though I am a player. But that's not true. Love is something I am still learning. It's just an obstacle that I haven't yet mastered. I think that's my biggest hurdle in life." Chris Brown is adamant rumours about his love life are often untrue. Fact: Controversial singer Chris Brown celebrated Halloween (31Oct12) by dressing up as a gun-toting Arab fighter, complete with ammunition, false bushy beard, and flowing robes. He posted a photograph of himself posing in the outfit with pals on Twitter.com. Fact: Chris Brown has added a new tattoo to his skin art collection. The R&B star, who has reportedly reconciled with ex-girlfriend Rihanna, has had a lion etched on the front of his neck. Fact: R&B star Chris Brown rounded up his rap pals Nelly, Waka Flocka Flame, Shawty Lo and Roscoe Dash on Sunday (30Sep12) to take part in an all-star charity basketball game in Atlanta, Georgia against Djs from local radio station Hot 107.9. Fact: New York nightclub W.i.P has been shut down following the violent brawl last week (13Jun12) which left R&B singer Chris Brown with a cut to his chin. 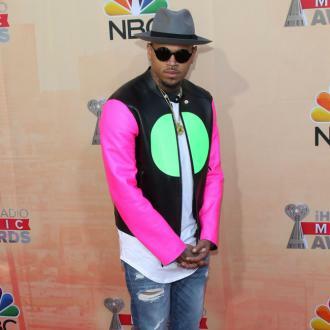 Fact: R&B star Chris Brown's show-stopping performance of new single Turn Up The Music at the Billboard Music Awards in Las Vegas on Sunday (20May12) featured a Bmx bike stunt troupe, which raced and spun on ramps on the stage behind him. Tweet: "I can't wait until a brother can come back to the UK!!!!!!! Number 1 record an not allowed in....Sweet!" Embattled R&B star Chris Brown wants U.K. border officials to lift a ban on him working in the country due to his criminal record in the U.S. Fact: R&B star Chris Brown has made his directorial debut by stepping behind the camera for his new video, Turn Up The Music. The Kiss Kiss hitmaker, who has showed off his acting skills in dance movie Stomp the Yard and 2010 heist film Takers, released the promo on Friday (17Feb12). Fact: Singer Chris Brown lived up to his promise to reward the fan who turned in his lost watch at the MTV Video Music Awards in August (11) by inviting her to his concert in Cincinnati, Ohio. Brown gave the woman two tickets and invited her to hang out with him backstage before the show. Tweet: "Voice is super raspy this morning... We still bout to kill the show in Detroit today!!!" 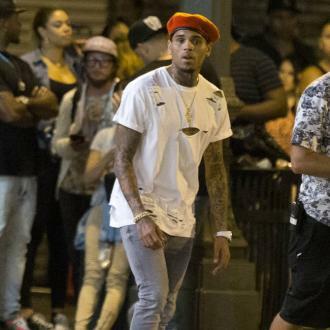 R&B star Chris Brown is struggling with a sore throat while on tour across America. Fact: Chris Brown and former Destiny's Child star Kelly Rowland are set to embark on a join tour together this autumn (11). The Kiss Kiss hitmaker announced the news on his Twitter.com account on Wednesday (27Jul11) and teased fans by revealing that other "incredible" artists were set to jump on board, too. Tweet: "18 to 20 thousand people showed up at 7 this morning! That's crazy!! Biggest crowd the today show ever had!" R&B singer Chris Brown shut down New York City's Rockefeller Center on Friday (15Jul11) for U.S. breakfast show Today's Summer Concert Series. Fans camped out overnight (14-15Jul11) just to watch the Kiss Kiss hitmaker perform a short set. Fact: Actor Cuba Gooding Jr. showed off his fancy footwork on Britain's The Graham Norton Show on Friday (20May11) by breakdancing to Chris Brown and Benny Benassi's track Beautiful People. Fact: Justin Bieber has hinted he will be teaming up with his Next 2 You collaborator Chris Brown when he takes his ongoing tour Down Under. Brown is already in Australia with his own concert series, and Bieber fuelled speculation about a joint performance by posting their track on his Twitter.com page and writing, "Australia... We are coming... And there might be some surprises." Tweet: "I'm the happiest I've been in my life in a long time!! Thx to my fans!" Embattled R&B singer Chris Brown insists he's in a good place after topping the U.S. album charts for the first time earlier this week (ends01Apr11). Quote: "We’re gonna tag my whole house up. I want to get pictures of me and paint over them. A lot of people just think it’s about spraying paint, but it’s about air pressure, what kind of nozzles you use, which way to hold it so you can make the perfect line.” R&B singer Chris Brown is planning to fill his new West Hollywood home with graffiti art. Quote: "I'm always going to give you great music, I'm always going to do stuff that inspires kids, I'm always gonna do positive stuff. But I'm not going to live my life caring about what they say about me - because I know who I am." Defiant Chris Brown refuses to let the fall-out from his assault charges against ex-girlfriend Rihanna get to him. Tweet: "Back from the studio finishing up a new record with Chris Brown for his new album. We teased you with 'UP'. you're gonna go crazy for this!" Justin Bieber gives fans news of his latest collaboration. Fact: Saturday Night Live bosses are courting controversy - racy comic Russell Brand and disgraced R&B star Chris Brown will guest on the weekly show's 12 February (11) episode. Tweet: "Me and @justinbieber got a BANGER/SMASH record for all the fans out there at the top of the NEW YEAR!!! 2011 #BREEZYTAKEOVER." Chris Brown on his top secret new collaboration with Justin Bieber. Fact: Troubled R&B star Chris Brown will join Michael Jackson's niece GENEVIEVE among performers at Saturday's (26Jun10) unofficial Forever Michael tribute to the King of Pop, which will take place at the Beverly Hilton Hotel in Los Angeles. Fact: R&B singer Chris Brown personally presented cheques for $25,000 (£16,667) to both the American Red Cross and the Central Virginia Food Bank charities on Monday (07Jun10), after raising $50,000 (£33,333) from the Virginia Stand Up! A Call To Action benefit concert in his home state of Virginia last month (May10). Quote: "I did that so people could see that I actually was doing, owning up to my responsibility and I wasn't just saying, 'Oh yeah, I'm a do it (sic), but you ain't gonna see me do it...' I really wanted to show people that, 'Look, I'm doing it.' It's, like, eight to nine hours a day; it's a lot of work, but it gives me a lot of time to think." Chris Brown on his decision to post photos of himself performing community labour tasks online. The R&B star was handed the service sentence after pleading guilty to beating ex-girlfriend Rihanna during a fight in February (09). Fact: Disgraced R&B star Chris Brown celebrated his 20th birthday with a low-key bash as his ex-girlfriend grabbed the headlines at New York's Met Gala. Brown, who bid farewell to his troubled teens on Tuesday (05May09), celebrated his birthday with family and close friends on Monday night (04May09) in Virginia. Fact: R+B star Chris Brown has teamed up with designers at headwear firm New Era Cap to launch his own line of branded baseball caps. The singer will receive royalty payments when the hats go on sale on 14 August (08) at selected U.S. stores. Quote: "I lost. There's, like, a five per cent chance now. Wayne is definitely on top of his game right now. He might win. He has the flavour." R+B star Chris Brown is convinced he will lose out on winning the Best Male Video gong at this year's (08) MTV Video Music Awards to fellow nominee Lil Wayne. Brown's song WITH YOU will compete against the rapper's chart smash LOLLIPOP at the September (08) ceremony. Quote: "I don't want to say I'm the King; I just hopefully can be the Prince of Pop." 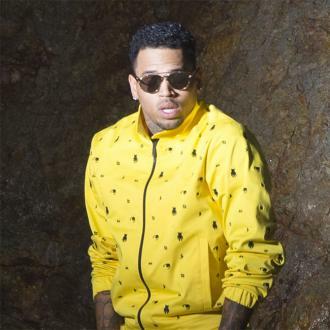 R+B singer Chris Brown wants to emulate the success of his idol MICHAEL JACKSON. Quote: "I started getting them at the age of 13. Most moms wouldn't be cool with that but mine didn't mind as long as they stood for something positive." Chris Brown on his eight tattoos. Quote: "A performance with me, Omarion, Usher and JUSTIN (TIMBERLAKE) all in one. And then the grand finale, MICHAEL (JACKSON) would come out." 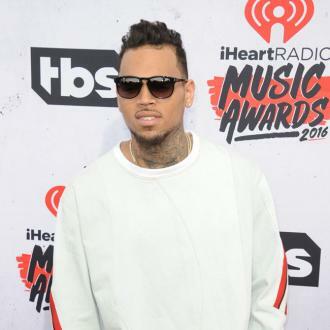 R+B singer Chris Brown reveals his dream concert line-up. Fact: Chris Brown's 2007 is ending as it started - he's struggling to perform. The RUN IT singer had to hobble through a performance at the Grammy Awards in February (07) with a fractured foot, and now he has bruised his vocal cord. Fact: HUSTLE + FLOW star Terrence Howard's first single will feature R+B star Chris Brown after the RUN IT singer asked if he could record a track over the tune after hearing it in the studio. The track will feature on Howard's debut album, ELEPHANTS WITH GUITARS. Fact: R+B star Chris Brown is getting ready early for Christmas 2007 - his new festive film THIS CHRISTMAS started shooting in Los Angeles with Regina King and Nia Long yesterday (08JAN07). Fact: RUN IT singer Chris Brown will be a guest star on the fourth season of The OC, playing a band geek who strikes up a relationship with KAITLIN COOPER (WILLA HOLLAND). Quote: "I want to be a role model - to tell kids to believe they can be something when they're older. That they can follow their dreams and still be good. Innocence is good." 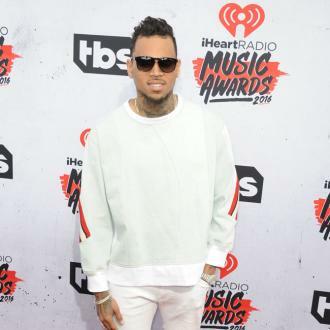 R+B singer Chris Brown wants his fans to remain pure and ambitious. Quote: "By the end of the tour the front windshield and the entire bus was covered with graffiti of names and phone numbers." RUN IT singer Chris Brown has a lot of options when it comes to fans who want a date.